After many years of planning, Jenner Headlands, the spectacular property on the Sonoma Coast purchased in 2009 by a coalition of private and public partners, is almost ready for open public access. 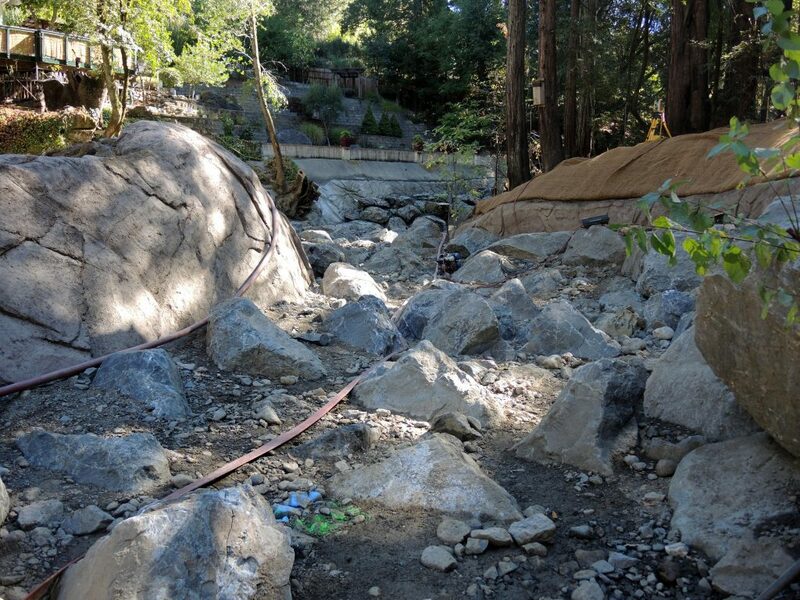 Coho return to Green Gulch! 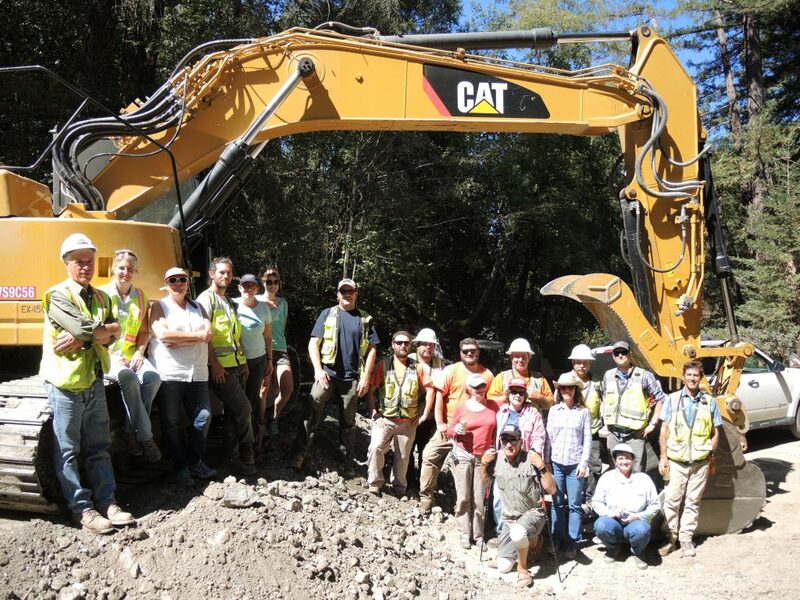 In 2015, Spring Valley Creek, a tributary to Green Gulch that had been piped into an in-channel dam, was re-connected downstream so that coarse sediment and cool summer water could return to the newly-created habitat. 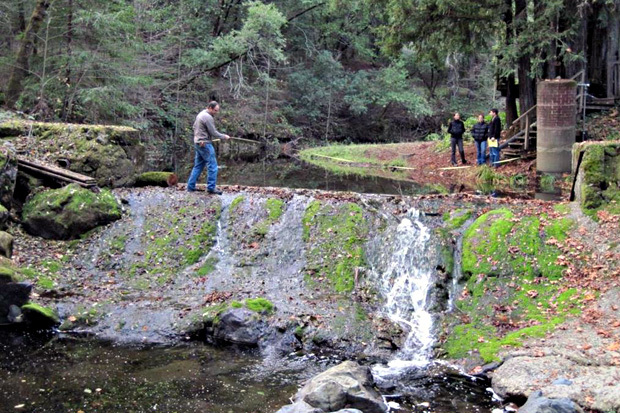 Green Gulch Farm and PCI are currently looking for funding to design and implement water conservation and rainwater storage projects as the next restoration phase. And it’s working! 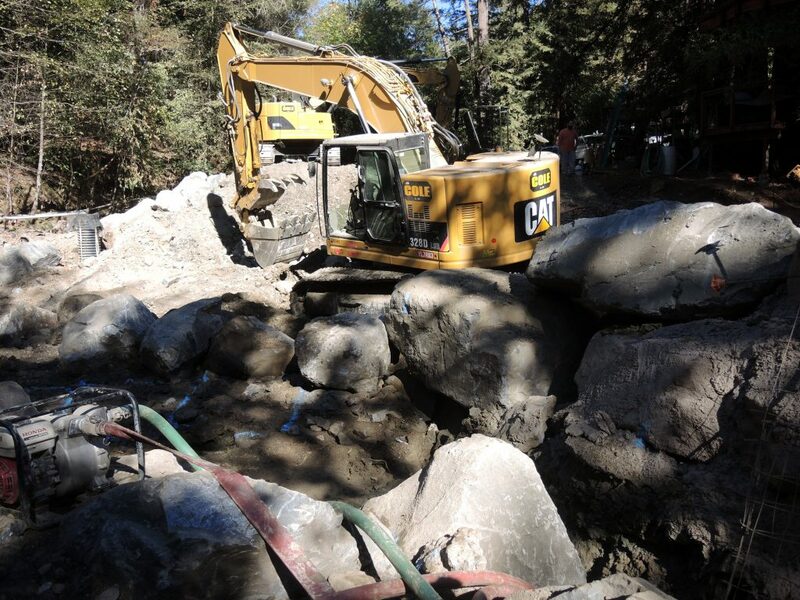 This winter’s storms brought some perfectly-sized coarse material down Spring Valley Creek and into the main channel. Even better, PCI biologist Jennifer Michaud saw two young-of-the-year coho in the restored meander reach during her spring survey. 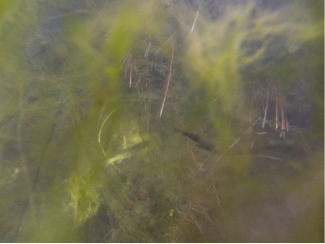 See if you can spot the coho in the algae!